Dr. Adam Dubis is the Co-Investigator of the High-Resolution Imaging Group within the Department of Molecular Genetics at University College London Institute of Ophthalmology and Moorfields Eye Hospital NHS. He received his PhD from the Medical College of Wisconsin in Cell Biology, Neurobiology, and Anatomy. He went on to complete a postdoctoral fellowship at Duke University Medical Center’s in the Department of Ophthalmology. Adam is with us today to tell us about his journey through life and science. Dr. Dubis is interested in understanding the structure and function of the living human eye, specifically in inherited degenerations. Vision is one of these most important senses with which we as human obtain information from our environment. Unfortunately, many children are born with conditions that steal this sense, but potential treatments are being produced. The goal of this work is to screen and categorize patients for gene and cell replacement therapies that are coming in the near future. 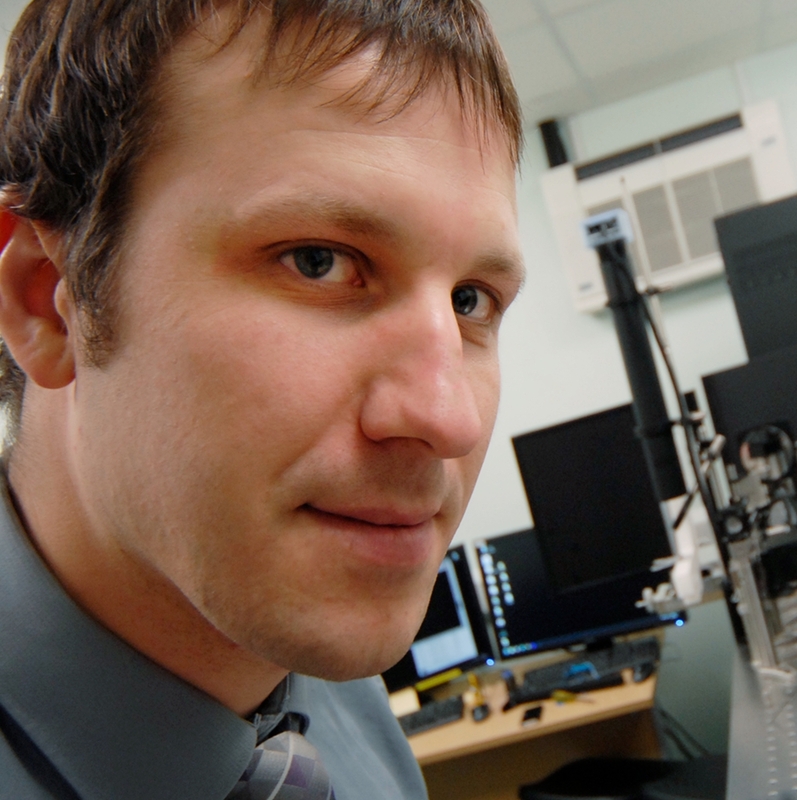 His research combines optics, computer science, neuroscience, anatomy and physiology to design, modify and use a diverse set of commercially available and custom built cameras to image the layers and single cells of the living human eye.